You may have heard that the Digital Region Network, operated by Thales, is set to close due to the network owner, Digital Region Limited (DRL), going out of business. The date for the closure of the network is set at 14th August 2014. After that date your Digital Region service will cease to work and ASK4 will be unable to provide you with a similar service. You can cease your service with ASK4 with no financial penalty for leaving your contract early. Please be aware that once you ask us to cease your connection, we will co-ordinate the date of your cease to be the same as the date that your next bill is due. Once you have received confirmation that the cease process is completed, you can request a new service from a new provider. It is not possible to migrate your service to another Digital Region service provider at this time. I understand that you will want more information about your options as soon as possible to allow you the most time to make an informed decision about where to move your service to. This statement is simply to let you know the current state of the service closure plans and give you some indication that we are working hard to try and provide clarity for you as soon as possible. If you have any further queries please direct them to our support team on 0114 303 3232 or via support@ask4.com. ASK4’s Digital Region product is being terminated on Monday 14th July 2014. The Digital Region network will be shutdown on Thursday 14th August 2014. On the 14th July 2014, the ASK4 DRL service will cease to operate. After this date, your DRL broadband service will not work. By that time, if you have not ceased your service with ASK4 and found an alternate supplier of broadband services, your access to the Internet will not work. You may have already ceased your service, in which case you don’t need to take any further action. If not, you have a number of options for moving your broadband service, which you will find, detailed at the end of this email. Given that the last day we can offer you service is now set as Monday 14th July 2014, you must have made a decision about what you are going to do by Monday 2nd June 2014. If you have not submitted the cease request by that date, we will submit one for you and notify you that we have done so. As you would expect, there will be no fees associated with the cease process, and if you are still within your 12 month minimum contract period, there will be no expectation on you to pay for the service beyond the date the cease is finalised. If you have any further questions, our support team is always here to help you understand the process, as well as to process your request to cease the service. Select a new supplier of Broadband services. Contact ASK4's support team and request that your service be ceased. ASK4 will submit the cease request to DRL. Your service with DRL will be ceased, usually to coincide with your next billing date. You will stop being billed from the point that the cease confirmation is received. You will not be able to place an order for a new service until the cease has been confirmed by ASK4. The new provider will be unable to place an order until the cease is complete, as they will carryout a check that will tell them that the line is already carrying the DRL service. Once the cease confirmation is received, you can then order a new service from the DSL Broadband supplier selected. This usually takes between 5 and 10 days but depends on the supplier you have chosen. It is important to note that this option will mean that there will be a period when you have no service. From the point that your DRL service is ceased until your new service is installed, you will have no broadband service. Depending on the type of service you want to move to, you may be able to request a Migration Authorisation Code (MAC) from the ASK4 support team. This MAC can be used to move your service with minimal disruption to your broadband service. It can take 5 days to get this MAC. Once you have your MAC, you can order a new service from a new ISP. You provide them with the MAC to ensure that there is minimal disruption during your service migration. It is important to note that some ISPs use automated systems for ordering new services. Some of these automated systems will reject the MAC even though it is valid. You may have to talk to the new Service Provider to persuade them to accept the MAC. BT, who create these MACs, have issued guidance to all ISPs to cover this situation, but you may experience difficulties with this option, even though it may be less disruptive in the long run. You may be in an area that enables you to get service from a fibre optic provider like Virgin. You could order service from them and manage the DRL cease to occur after the new service is installed. You may be able to order a new phone line and an associated broadband service and manage the cease of the DRL service to occur after the new service is installed. This option has some advantages but it may not be possible for you to order an additional service for cost or availability reasons. Further to this a letter detailing the above has been sent to customers today, via post. Is it just me or is this complete b0ll*cks. Why do we have to lose service if we want to migrate to another FTTC provider. It seems we are being penalised for a service WE supported that UK and local Gov is now abandoning us. I rely on my broadband service and cannot sustain 2-3 weeks without it and don't see why I need to go back to ADSL. 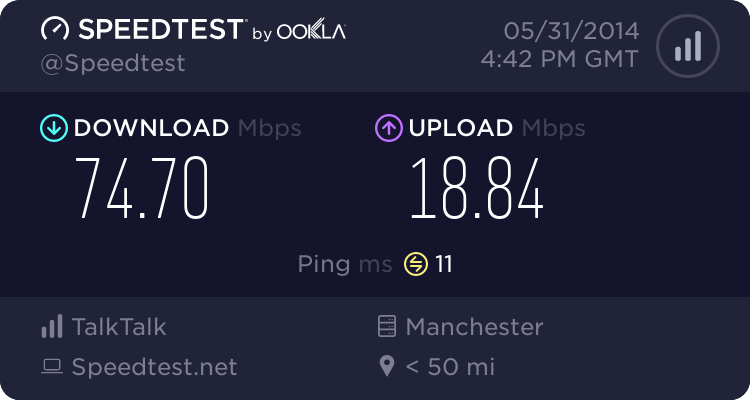 If you rely on your connection so much then you do not have to be without service, you can simply order a complete new line from Plusnet or BT or whoever. Plusnet charged me £49.99 for a new line, I've heard that BT will often do it for free. You can then cease your DR connection after your BT based FTTC service is live. To be fair, if you rely on your service you should ALREADY have a backup in place even if its just tethering your phone. I do agree though, its disgusting that you cannot use a MAC to migrate to ANY product. 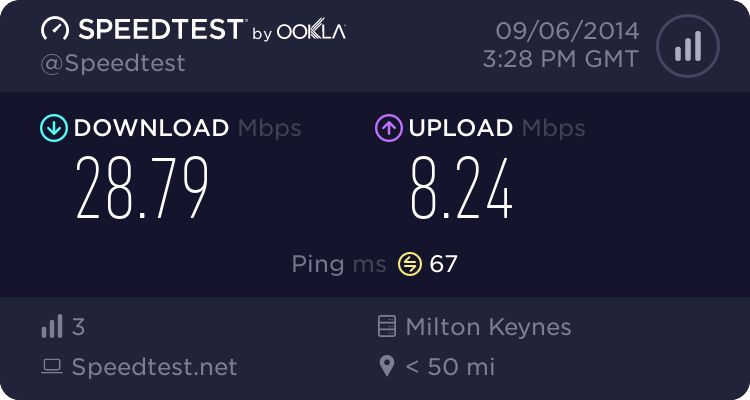 Its particularly bizarre seeing as you can obviously migrate from BT ADSL to BT VDSL, so why would where you are coming from make any difference? We would like to provide an update for this community on the progress we are making and some customer feedback we have had so far through the closure of DRL. So far, things are going smoothly and we’ve had a large number of customers take action following our communication, successfully ceasing their connections and moving to another provider. However, we are having problems with acquiring ISP’s accepting the MAC format BT are providing to DRL for migrations to DSL products. The issue we’re having, is that despite a bulletin from BT, which has been provided to all ISP’s, the customer service staff may not have received training on the bulletin internally. For SLU SMPF to LLU SMPF, it states "There is no need to validate the manually generated code on the MAC Checker and the order can be placed direct.” Unfortunately in each case so far, the acquiring ISP has attempted to validate the MAC but rejected it as it is a non standard format. We would advise all customers to quote the bulletin if this happens, as unfortunately ASK4 have no control over this. If you are having this problem, you will need to escalate it within the acquiring ISP's customer service team. We would strongly advise the cease and re-provide option as an alternative, as although there will be downtime between connections, you won’t have to battle it out with the customer service team at the acquiring ISP and the transition will be smoother. It might help to reiterate that the MAC is manually generated and does not need validation, before placing your order. Unfortunately, this does mean that online ordering is unlikely to work, as the acquiring ISP will not have updated their system to understand a manually generated MAC. Thank you, to all of our customers. Thank you very much for the update Ask4. Hats off to the fact that you have been the most communicative during this whole transition phase. I echo what Chalky says! While I was not with Ask4 (I was with LBO/Chess Telecom). Ask4 communications have been helpful to me so much! Even had someone at Ask4 help with some information via email recently. So thank you! Having gone through the migration process can I just say that Ask4 were excellent and responded to emails very quickly (often within minutes). However, I would strongly recommend the cease and re-provide route as my migration was a nightmare and is still not perfect. I ordered my ADSL service from BT on 30th March. I was finally migrated over on 16th May having had a variety of 'conversations' with BT staff - it took ages to convince them that the MAC would work - I quoted the bulletin given above and eventually they checked it out and progressed the order. 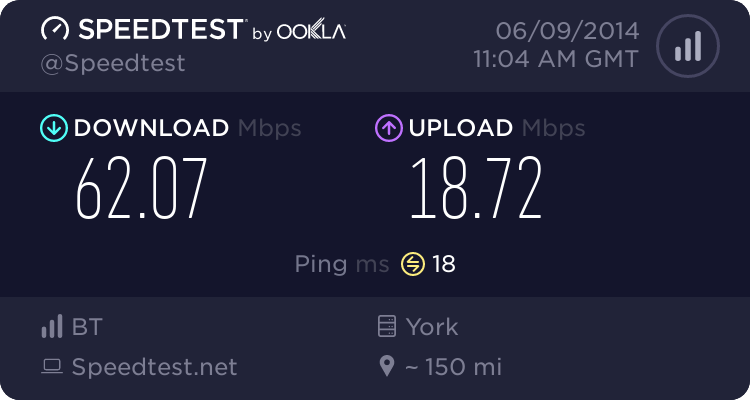 Unfortunately when they activated my ADSL last week they provisioned me on the wrong product - ipstream 1000 with a sync speed of 1152/288 instead of ADSL Max. It has taken nearly a week to convince them that something was wrong - the first level technical staff just followed the script and kept asking me about WiFi and using the test socket in the master socket. If it wasn't for an extremely help BT rep that has been phoning/emailing me regularly I would probably be pulling my hair out. Thankfully she has confirmed with me today that my connection will be converted to MAX tomorrow and I should be able to then place an Infinity order from Friday. It's a credit that @ASK4 are still updating and trying to assist customers where they can.